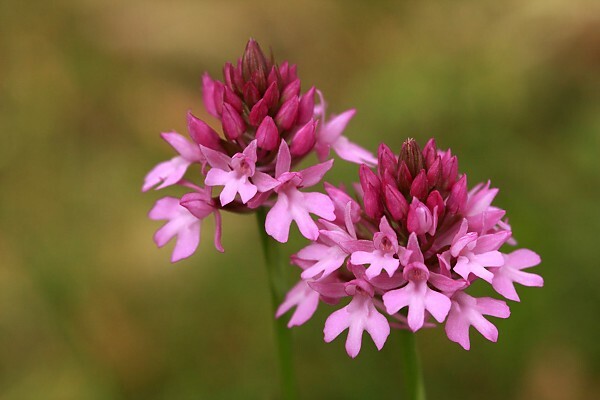 The pyramidal orchid is made up of pretty pinky-purple florets, 5-10mm diameter, which form a pyramid shape. 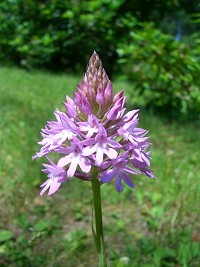 The leaves are grey-green and form a sheath around the stem. It is usually found in sunny, grassy places.